DC Collectibles has been releasing artist centric vinyl pieces since last year, featuring the talents and art styles of various independent artists. Unique pieces based on work from Nooligan, Chris Uminga, and Sho Murase have dropped in a ton of low run variants so far. 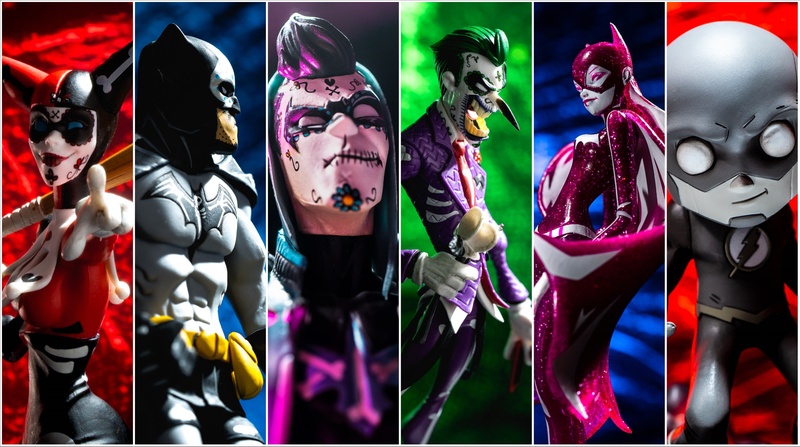 Today we are taking a look at some recent releases – 4 Nooligan pieces of Batman, Nightwing, Joker and Harley Quinn in a Day of the Dead theme, an additional Chris Uminga Black and White version of the Flash to go with the previously released Trinity, and an exclusive clear and sparkly » Continue Reading. The post DC Collectibles Artist Alley Vinyls Photo Shoot appeared first on The Toyark – News.